Below are some recent testimonails from our clients. Mr. Wood has been my lawyer since 1998. He has represented me on several occasions concerning family law. He and his staff have always been very professional and honest. He was very caring and sensitive. He was very knowledgeable, gave me options on how to procede, suggested which avenue to take, but never questioned my final decision. I feel that I got fair and equitable outcomes in all cases that he represented me. I would highly recommend him to anyone. Robert, Denise & Brian are OUTSTANDING! They are very, very special people. They helped me through a very difficult situation and made me feel like one of the family. I'm proud to now call them friends. Robert was extremely helpful and knowledgeable. I'd recommend him to anyone. Robert was awesome in a matter that is not usually handled in this way in the State of Florida. In court it was obvious he was well thought of as well. I highly recommend this law firm. He’s professional, knowledgeable and very easy to talk to. Thanks for helping get my life back on track and in perspective. Highly recommend Robert Wood Law Office. He and his staff were very professional and friendly. His paralegal, Aarron is top notch and helped made everything go super smooth. Again, highly recommend this Law Office!!!! Thanks!!!!! Mr.Wood has done everything he has told us he would do and things are happening for the good.I would recommend him to anyone who has a Family problem like Divorce, Child custody.He has been great. Give him a try! A attorney who goes above and beyond! I would like everyone to know that Mr. Wood has been by my side the whole way through my divorce and I feel that you could not ask for a more knowledgeable or caring professional!! 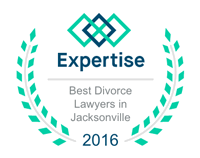 I AM GRATEFUL THAT I HAD SUCH AN EXPERIENCED ATTORNEY. Mr. Wood is my husbands attorney. Before you stop reading this review I only have good things to say about him. My exhusband is 30K plus behind in child support and has done everything possible to avoid paying. Without breaking any confidentiality he has been very frank with me about his desire to serve his client, the law, and most importantly my children. Anytime I have had to speak to him he has been polite. Speaking on behalf of his client he has remained neutral and expressed that he wants my exhusband and I to be able to work in the best interest of our children. I never thought I would say I like my husbands attorney, but I do. I would reccomned him to anyone. I feel that Mr. Wood represented me in a way that was both professional and very caring. Because of Mr. Wood's knowledge and investigation of details in my case the trial went exceptionally well. I would recommend Mr. Wood to friends and family for any legal representation. He is very confident when in a courtroom situation. For anyone looking for a good attorney, this is the man. On a scale of 1-10, I give him a 10. He does what he says he will do. What more can you ask? He is straight to the target, and effective, also kind.